Everyone loves postcards! Why not choose this low-cost option to let your supporters know what's going on? 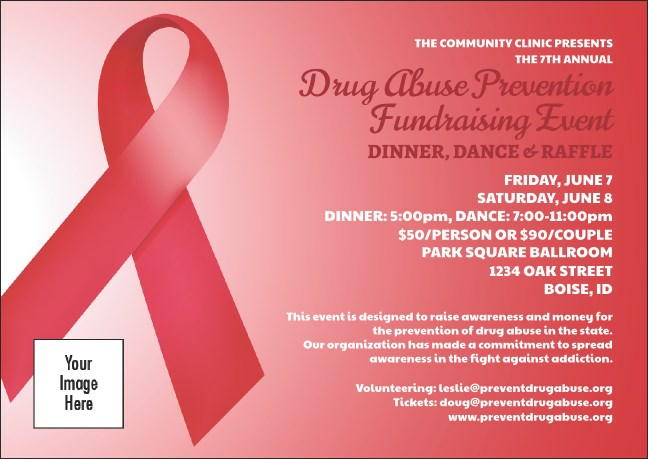 The Red Ribbon Postcard, which matches our Red Ribbon Event Kit, lets you keep people informed about anti-drug, AIDS awareness, and other red ribbon events. Featuring a red ribbon logo on a red and white background, it's a simple and elegant solution. For high-quality, economical answers to small- to medium-sized business questions, you'll find it all on TicketPrinting.com.